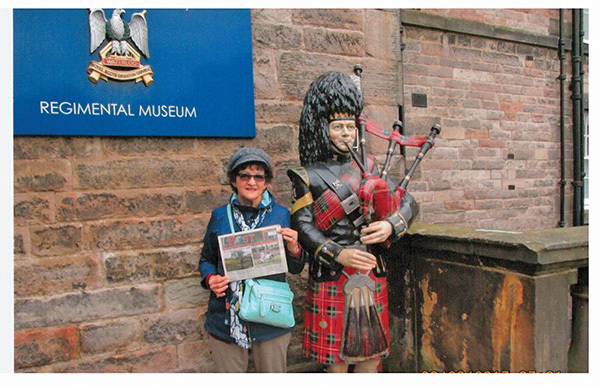 Earlier this fall, Kathleen Zersen (Heiss) picked up a Post and tucked it away in her suitcase to travel with her on a six-week trip to Great Britain. She traveled with a friend from Arizona, Diana Yarbrough, who is from England. Kathleen loved taking her trip, and wished she’d done it sooner. Her travel tip? “Travel while you’re young!” she said.